The upcoming 5G wireless is expected to deliver speeds up to 10 times faster than what consumers see on today's 4G LTE networks, but 5G could also mean millions of new cell phone towers. Would you want a cell phone tower or network base station in your neighborhood? For many people the answer is "no way." But when 5G — the ultra-fast, next generation of mobile connectivity — arrives it's likely that millions of new cell towers will spring up to handle the traffic, said FCC Chairman Tom Wheeler on Monday. The new 5G wireless is not the only technology that will require more and more cell towers. Google's much-hyped gigabit fiber deployments have stalled, and it appears to be turning toward wireless broadband. That too will likely require towers or some sort of relay equipment to beam signals to homes and offices. Already, 200,000 or so cell phone towers are scattered across the United States, Wheeler said Wednesday during a speech at the annual CTIA convention in Las Vegas. But unlike the current LTE (sometimes called 4G) technology most carriers use to beam data smartphones, 5G requires a more dense network of towers to handle the traffic, which is why Wheeler and the industry figure the towers will multiply like Tribbles on the Starship Enterprise. In the wireless industry, that process is called densification. 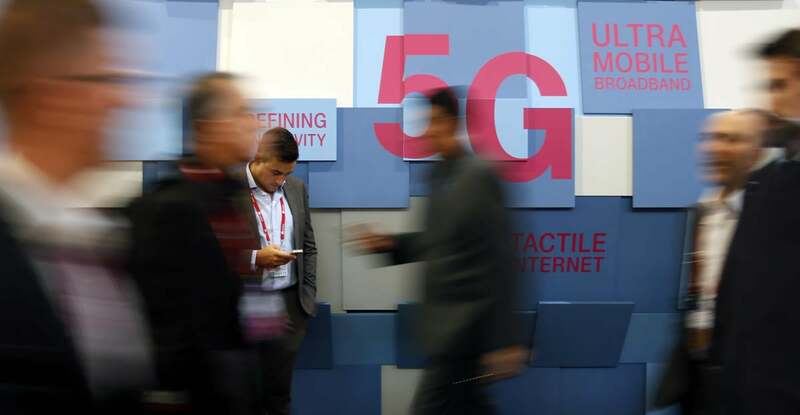 "Network densification means more small cells, more mid cells, pico cells [and] metro cells," said Chris Pearson, President of the 5G Americas wireless trade industry association, who spoke with CIO.com at CTIA. In other words, 5G means a lot more towers. Just how fast is 5G wireless? Although 5G won't be here for a while, despite the hype, it should arrive at some point in this next decade, and when it does consumers will demand it. The wireless tech will be much faster than LTE, but exactly how much faster is not yet clear. Ericsson said it had achieved 5 Gbps on a testbed for 5G. That's about 50 times faster than today's fastest LTE networks. Samsung demonstrated potential 5G technologies running at 7.5 Gbps and got a stable 1.2-Gbps signal to a minivan traveling at highway speeds. By contrast, LTE speeds vary from about 10 Mbps to 40 Mbps. However, residents of many communities have blocked the construction of cell phone towers in their neighborhoods, some citing concerns over potential health problems. Others are simply put off by the sheer ugliness of the towers. Gaining approval from local governments can also be very slow. "If siting [or the approval process] for a small cell takes as long and costs as much as siting for a cell tower, few communities will ever have the benefits of 5G," Wheeler said. To my knowledge, no studies exist that confirm cell towers produce harmful radiation, but consumers who believe there is a link have to choose between allowing the towers or settling for less-robust wireless connectivity. Wheeler acknowledged those concerns and suggested that wireless carriers should consider sharing towers to reduce density. "If we're talking about thousands of antennas in a city, and you've got four carriers, and we are serious about leading the world in 5G deployment in our very large and spread out country, we ought to explore creative options on how best to build that infrastructure," he said. Although there is some history of cooperation between carriers, it tends to be the exception and not the rule, and I wouldn't hold your breath waiting for U.S. carriers to play nice.